Corporate social responsibility (CSR) connects organizations with various environments and constituencies. CSR is enacted through governance and strategic processes, yet this can cause distortions as the process conforms to an agency theory narrative. 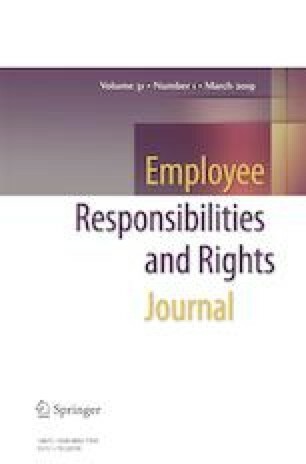 This paper analyzes the role agency plays in CSR and offers an alternative (the leasehold approach) that uniquely describes the relationships among owners, organizational leadership, and contemporary management practices. An alternative to the existing paradigm is explored by 1) acknowledging the robust role of leaders in determining vision, strategy and CSR, 2) recognizing that governance balances obligations to multiple parties to whom leaders have committed, 3) allowing that those commitments determine the organization’s accountabilities necessary to demonstrate promised performance, 4) focusing on value creation more than distribution of surplus, and 5) highlighting that financial and social outcomes are equally legitimate. Implications for theory/practice are offered; leasehold indeed offers an open, autonomous, and accountable way to view corporate governance and CSR. An earlier version of this paper was presented at the Annual Meeting of the Academy of Management, August 10, 2015, Vancouver BC. We wish to thank our colleagues Aida Rodriguez (The New School), Sherrill Shaffer (University of Wyoming), Grant Lindstrom (University of Wyoming), and Duane Helleloid (University of North Dakota) for their comments and recommendations on earlier versions of this paper. No primary data were collected for use in this investigation. B-Lab (2015). The B-Corp declaration. https://www.bcorporation.net/what-are-b-corps/the-b-corp-declaration. Accessed 30 October 2015. Rousseau, J. J. (1762/2017) The social contract. J Bennett (editor) https://www.earlymoderntexts.com/assets/pdfs/rousseau1762.pdf. Accssed 8 April 2019. Smith, A. 1776/2007 Meta Library edition An inquiry into the nature and causes of the wealth of nations. https://www.ibiblio.org/ml/libri/s/SmithA_WealthNations_p.pdf. Accessed 8 April 2019. The Economist (2014). Green grows the market, O. Author (July 5), http://www.economist.com/news/finance-and-economics/21606326-market-green-bonds-booming-what-makes-bond-green-green-grow. Accessed 17 July 2014.